Buy a Shirt (or even a Hoodie)! Small-batch printing! Limited availability! Get yours now! Roderick on the Line LIVE at SF Sketchfest! 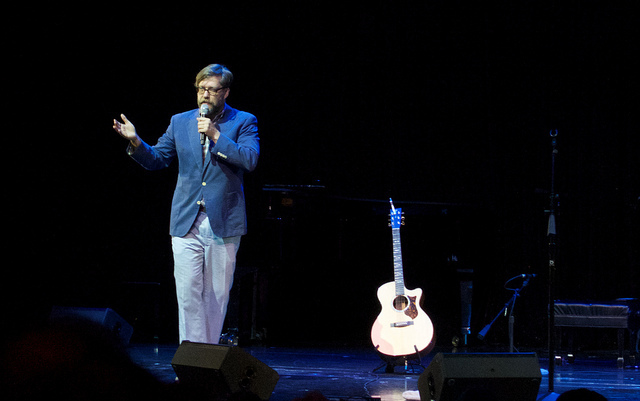 In July 2014, Brett interviewed John Roderick about how he became a professional musician. The conversation evolved into a compelling, serialized narrative that couldn't be contained in not just one, nor two, nor even three episodes. "Money is tight, and it follows success. Nobody in the club business has money to spare and everyone has expenses. A lot of musicians I know waited for the money to start rolling in BEFORE they bought a van to start touring, or BEFORE they bought good equipment. They had it backwards, and some of them are still waiting. You have to go in debt, get the best stuff you can beg borrow and steal. You invest in the band FIRST."